Bonhams returns to the whisky auction scene in New York this Friday with a 176-lot sale of collectible whiskies and Cognacs – a year after suspending spirits sales in the US. The Fine and Rare Wine and Whisky sale, held in New York (spirits) and San Francisco (wine), will be the auction house’s first foray back into whisky sales in the US after it suspended operations in August last year. That decision – pending an assessment of the department’s profitability – led to the cancellation of Bonhams’ auction scheduled for 19 October last year, and the end of the company’s biannual series of whisky and spirits sales in Manhattan. Now the series is being revived with a range of rare single malts, blends, rye whiskeys, Bourbons and Cognacs from a number of private collectors. 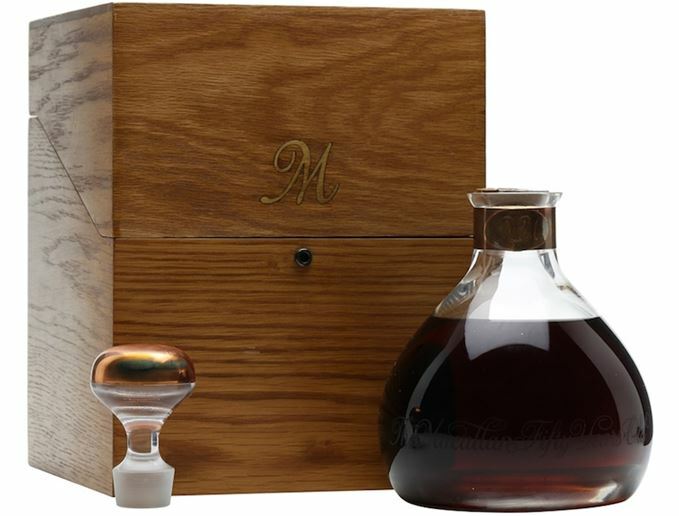 A Macallan Millennium Decanter 50-Year-Old single malt, distilled in 1949, has a high estimate of US$25,000, while a bottle of the distillery’s 1928 50-Year-Old Anniversary malt could fetch up to US$48,000. Meanwhile, a crystal decanter of Dalmore EOS 59-Year-Old, distilled in 1951, could fetch up to US$25,000. A single bottle of Ardbeg 40-Year-Old 1965 has an estimate of US$6,500-7,000, and a full set of Black, White and Gold Bowmore 1964, bottled in 2007-9, is listed at US$22,000-25,000. ‘On behalf of Bonhams I’m pleased to announce our return to the New York whisky auction market,’ said Gary D’Urso, Bonhams rare and fine wines specialist. Lack of collectible new releases is fuelling the boom, says analyst and broker Rare Whisky 101. Whisky investment: a bubble ready to burst? Is whisky investment ‘the worm in the apple’ or a simple by-product of supply and demand?